While there’s no need to hunt out romance in Maui, plate lunches and pineapple for every meal may not do the trick. Instead, check out these RESTAURANTS for a heart-pumping view, good food and a perfect place to FEED THE FLAME. HALE PILIALOHA Situated on the resort’s BLACK ROCK LAWN (at the base of legendary Black Rock), Hale Pilialoha is the setting for the signature “DINNER UNDER THE STARS.” The restaurant’s culinary team designs an ELEGANT DINNER with your tastes in mind; BUTLER SERVICE ensures that every detail is accounted for. Bask in the Maui sunset, surrounded by tiki torches, as you sip on a tropical cocktail. The ultimate in privacy, Hale Pilialoha accommodates parties of two or four people. Learn more: Sheraton Maui Resort & Spa, 2605 Ka‘anapali Parkway, (808) 661-0031, sheraton-maui.com. LAHAINA GRILL Located on the ground floor of the historic Lahaina Inn, this CONTEMPORARY BISTRO features a menu of innovative NEW AMERICAN CUISINE made using techniques and flavors from around the world, all perfectly blended with the freshest ingredients cultivated by Maui’s local farms, dairies and surrounding waters. Widely CONSIDERED MAUI’S TOP RESTAURANT, Lahaina Grill also offers an EXTENSIVE WINE LIST of more than 350 selections from notable wineries and boutique vineyards from around the globe. Find more: Lahaina Inn, 127 Lahainaluna Road, (808) 667-5117, lahainagrill.com. MAMA’S FISH HOUSE Pass A SECLUDED WHITE-SAND BEACH, enter a GIANT TIKI HUT, and you’ve arrived at Mama’s Fish House. Located on the North Shore in Pa‘ia, this restaurant’s staff tells you not only where your fish was caught but also who caught it, all in an ambiance of aloha. 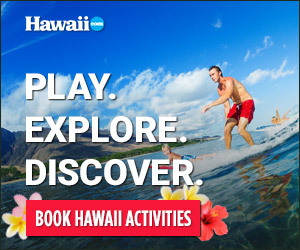 Visit: 799 Poho Place, Pa‘ia, (808) 579-8488, mamasfishhouse.com. BANYAN TREE Located at the Ritz-Carlton in Kapalua under a covered terrace, this restaurant offers a CREATIVE MENU highlighting the best of Hawaiian catches and harvests. With DRAMATIC VIEWS OF THE PACIFIC OCEAN, MOLOKA‘I AND THE PAILOLO CHANNEL, the atmosphere whispers romance. The Banyan Tree also has a VEGAN AND VEGETARIAN-FRIENDLY menu. Find more: The Ritz-Carlton Kapalua, 1 Ritz-Carlton Drive, (808) 665-7096, ritzcarlton.com. MALA WAILEA Mala specializes in MEDITERRANEAN AND PACIFIC RIM CUISINE, but the real attraction is the restaurant’s outdoor location on the terrace of the Wailea Beach Marriott Resort & Spa overlooking the beautiful Pacific and islands of Lana‘i and Kaho‘olawe. Enjoy your meal accompanied by a gorgeous Maui sunset— every seat has an ocean view. Vegetarian-and-vegan selections also are available. Visit: Wailea Beach Marriott Resort & Spa, 3700 Wailea Alanui Drive, (808) 875-9394, malawailea.com. If indulgent romance is what you’re after, then Son’z at Swan Court is the place to be. This AWARD-WINNING RESTAURANT has it all: a grand staircase, soaring ceilings, marble floor, tortoise-shell chandelier and a lagoon complete with swans, waterfalls and tropical gardens. A CONTEMPORARY MENU highlights seafood, steaks and homemade pasta WITH A MEDITERRANEAN FLAIR, and the STUNNING WINE CELLAR CLAIMS TO BE THE LARGEST IN HAWAI‘I with 3,000 bottles. Dine: Hyatt Regency Maui Resort & Spa, 200 Nohea Kai Drive, (808) 667-4506, sonzrestaurant.com.